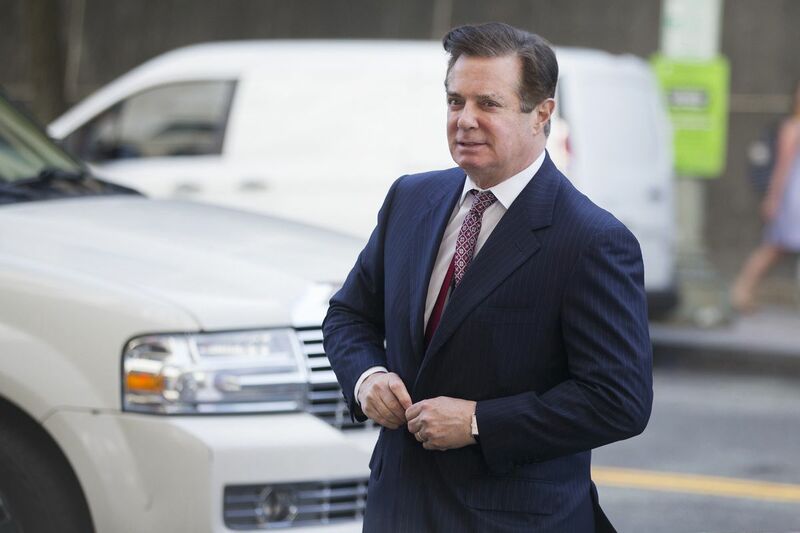 WASHINGTON - Special counsel Robert Mueller III said Friday that Paul Manafort, President Donald Trump's former campaign chairman, told "multiple discernible lies" during interviews with prosecutors, including about his contacts with an employee who is alleged to have ties to Russian intelligence. In a document filed in federal court Friday, Mueller also said Manafort lied about his contacts with Trump administration officials after Trump took office. Manafort had told investigators that he had had no direct or indirect contact with White House officials since Trump's inauguration, but Manafort had been in touch with officials as recently as the spring, according to the filing. Manafort told a colleague in February - four months after he was indicted - that he was in contact with a senior administration official through that time. And in a text message, he authorized another person to speak with a White House official on May 26. As the campaign's former chairman and a top campaign aide from March to August 2016, Manafort could have been a key firsthand witness for Mueller as the special counsel explores contacts between Trump associates and Russians. But the document illustrates how fully Manafort's plea deal has unraveled. That plea helped him avoid a second trial in Washington and offered the former Republican operative the hope of some lenience in sentencing - provided he cooperated with prosecutors and provided truthful testimony. Prosecutors from Mueller's team informed the judge last week, however, that they believed Manafort had breached the agreement by lying to them repeatedly. Manafort's lawyers have said that Manafort did not believe he lied or violated the deal. In the new filing, prosecutors offered to lay out at a future hearing additional documentary evidence to explain how they know Manafort is lying. For now, they explained that Manafort had lied "in numerous ways," conduct they said should be held against him when he is sentenced in March. The prosecutors said Manafort has met with special counsel investigators 12 times. At four of those meetings, prosecutors from outside the special counsel's office attended - a sign that he was questioned in connection with investigations separate from Mueller's probe. He also testified twice before Mueller's grand jury. Prosecutors said Friday that Manafort had told numerous lies in five different aspects of the investigation, including about his contacts with Konstantin Kilimnik, a Russian employee of Manafort's political consulting firm who prosecutors have said has Russian intelligence ties. Much of a section of the filing dealing with Kilimnik was redacted, but prosecutors indicated that they have obtained electronic records, travel documents and other evidence that demonstrate Manafort "lied repeatedly" about his interactions with the Russian aide. Kilimnik, who is believed to be in Russia, has been charged by Mueller's office with conspiring with Manafort to obstruct the investigation into Manafort's work in Ukraine. According to the new filing, Manafort pleaded guilty to conspiring with Kilimnik in an effort to compel witnesses in Mueller's probe to give false testimony, only to deny it in a post-plea interview, before reversing himself again and conceding that his plea was truthful. The special counsel also accused Manafort of lying about a $125,000 wire transfer. It is unclear how that transaction relates to the conspiracies detailed in Manafort's plea agreement, but prosecutors said Manafort lied repeatedly about details of the transaction. In addition, Manafort has been interviewed in connection with an investigation separate from the one being conducted by the special counsel's office, according to the court filing. Prosecutors said he has lied in connection with that case as well. Manafort, 69, who is in jail in Alexandria, Virginia, is one of five former Trump campaign aides who have pleaded guilty to crimes as part of the special counsel investigation. Trump has distanced himself from his onetime campaign chairman, stressing that Manafort worked for him for only a few months. But Manafort was present for moments that are important to the Russia investigation. For instance, he attended a meeting with a Russian lawyer at Trump Tower arranged by Donald Trump Jr. after the president's son was told the lawyer would share damaging information about Democratic presidential candidate Hillary Clinton. And he was at Trump's side in July 2016 as WikiLeaks released thousands of emails stolen from the Democratic Party.